NIGHT GUARD “STOP THE GRIND "
Grinding of the teeth is a medical condition called bruxism. Over time, bruxism will result in the wearing down of your natural tooth enamel. In fact, studies suggest that those who grind and clench their teeth experience up to 80 times the normal wear per day compared with those who do not. Reduce the risk of wear and tear of your existing healthy teeth by using a night guard. 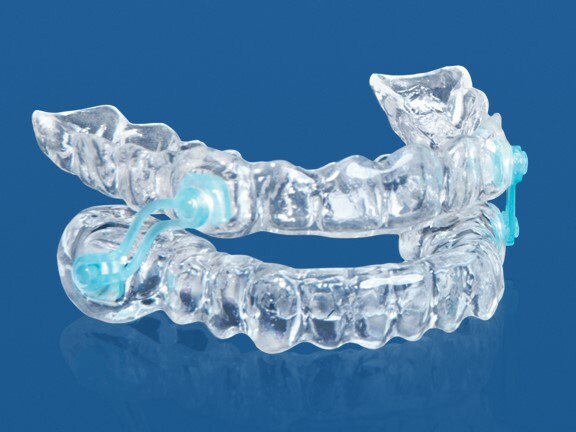 A clear, thin removable device, a night guard is custom made to fit over your upper or lower teeth as you sleep. In addition to relieving head, neck, jaw joint and shoulder pain, it will protect your existing teeth and your dental restorations. Silent Nite is a device that prevents snoring by opening the airway and making breathing easier. It is a custom-fabricated dental device that moves the lower jaw into a forward position, increasing space in the airway tube and reducing air velocity and soft tissue vibration. Special Slide-link connectors are attached to transparent flexible upper and lower splints.